What share of French expenditure was allocated to West Africa? What share of West Africa’s revenue was provided by France? These two questions are crucial since scholars and politicians who claim colonization had a “positive role” make essentially the two arguments that the colonies benefited from imperial public investments and that mainland taxpayers sacrificed local investments for investments in the colonies. I find that the costs of AOF’s colonization for the metropolis were low. From 1844 to 1957 France devoted on average 0.29 percent of its public expenditures to AOF’s colonization. 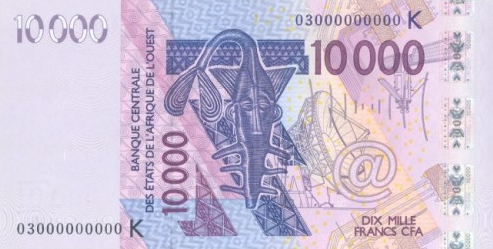 Colonization of French West Africa was profitable for France to the extent that the impact on cumulative domestic production exceeded 3.2 billion 1914 francs. The military cost of conquest and pacification accounts for the vast majority (80 percent) of the average annual cost. The cost of central administration in Paris accounts for another 4 percent. So subsidies to AOF account for only 16 percent of the average annual cost, meaning that less than 0.05 percent of annual total metropolis public expenditures were devoted to AOF’s development. For French West African taxpayers, French contribution was not as beneficial as has been argued. From 1907 to 19578 the metropolis provided about 2 percent of French West Africa’s public revenue. Local taxes thus accounted for nearly all of French West Africa’s revenue. These resources supported the cost of French civil servants whose salaries were disproportionally high compared to the limited financial capacity of the local population. Administrators, teachers, doctors, engineers, lawyers, and so on, were paid French salaries and got an additional allowance for being abroad. Thus, in the colonial public finance system, most revenues were collected on an African basis while being spent on a French basis. To illustrate this point, I show that colonial executives (eight governors and their cabinets) and district administrators (about 120 French civil servants) together accounted for more than 13 percent of local public expenditures. The rest of this very fascinating paper is here. Besides the headline finding, also interesting in the paper are: (i) the extent to which Paris subsidized private firms involved in the colonial enterprise; and (ii) the structure of the public finance system that allowed the AOF administration to borrow directly from French banks with the full backing of Paris (which allowed for lower rates). This might explain the persistence of the monetary relationship between former AOF territories and Paris in the form of the CFA and a common central bank (BCEAO). As I keep saying, Economic History is hot again. And sooner rather than later it’s going to become more apparent to more people that African political and economic history did not begin in 1960, or for that matter in 1884-5. And neither was it just about the unimaginably catastrophic Atlantic experience.